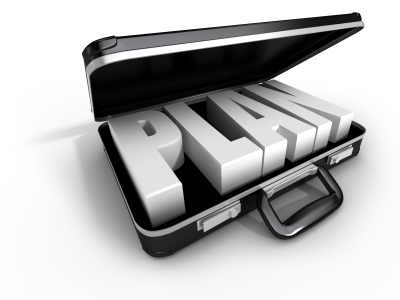 Every business needs a 12-month operating plan, even startups at the earliest stages. The only major difference between a startup Operating Plan (OpPlan) and a mature OpPlan is that the startup OpPlan will inevitably be wrong. Then why do it? Because it represents a stake in the ground, your living metrics, targets and milestones so that when targets are either missed or exceeded, it forces an internal review of “why” and then “how” to make adjustments to keep the business performance on track. I’m going to focus here on the importance of OpPlans for early stage businesses. Statement of Vision, Mission and Strategy. At the highest level, these should be really clear and posted on a few walls in the office. How can you know what to do today if you don’t know where you are going and why? Core 12-month Objectives. This should be 5 or fewer major objectives for the business that, if achieved, will define success over the next 12 months, at least based on what you know now. They ought to be completely consistent with point #1 above. These are not activities or tasks but rather major objectives (ie, “Achieve 5% market share in our category”). They don’t describe the “how”, just the “what” and since there’s only 5, key stakeholders (Board, investors) should view the achievement of these objectives as a highly successful month/quarter/year. Key Initiatives and Priorities. For the current quarter and in order to meet the Objectives, what are the key Priorities and Initiatives that the team will focus on? We are now breaking down the Objectives in #2 into a manageable set of Initiatives, answering the “how”. This list becomes the ultimate arbiter when resource conflicts arise (and they will). Completion of these Initiatives should absolutely result in performance against the Key Metrics (discussed below). These corporate Key Initiatives then drive more detailed plans within each functional area – Sales and Product priorities drive the product roadmap, which in turn helps to prioritize the Technology, Analytics, Support and Marketing/PR initiatives. Key Metrics, Target Values and Accountability. For each Objective in #2, what must be measured (Metric) and what are the Target Values for each Metric that ensure the Objectives are met? And who is responsible for achieving each Target Value? Important to track Metrics monthly, understand why there are variances and, most important, take decisive action to address under-performance. Examples of corporate metrics might be # customers, average revenue per customer, visitor conversion to sale %, hire 10 people, etc. Ultimately, each functional area (sales, tech, marketing, support) will have their own set of Metrics and Targets that roll up into achieving the overall corporate Targets. Finally, I highly recommend creating a “One Sheet OpPlan”, a 2-sided but one page document that has Key Initiatives and Priorities for the current period (quarterly) on the front and Key Metrics and Target Values on the back. This document gets distributed to ALL employees so everyone is fully informed and aligned on what drives success and, more importantly, how individual efforts tie directly or indirectly to certain Objectives that drive that success. This important process and document really forms the basis for instilling a Performance Based Culture within the organization by tying individual performance and compensation to company Objectives. Detractors may say that this is all too much structure and process for a startup where you are simply trying to get the product right and achieve some customer traction. I would agree that putting too much effort into planning when you are a team of 2 or 3 is probably not the highest and best use of time. However, while the need for this level of thought into the business may vary, certainly by the time you are taking external capital into the business its important that everyone is aligned on where the business is going and what defines success in the near term, even if success is defined by “get 2 paying customers”. Even an objective this simple requires sales, a product, technology reliability and scale, support, design, analytics, etc. such that each department has a list a mile long of things they can’t get accomplished due to resource constraints. A well constructed OpPlan helps to coordinate priorities across departments and keeps everyone’s eyes on the prize.